The Halotron 1 fire extinguisher is EPA approved "Clean Agent", discharged as a rapidly evaporating liquid, which leaves no residue. It effectively extinguishes class A, B and C fires by cooling and smothering and it will not conduct electricity back to the user. 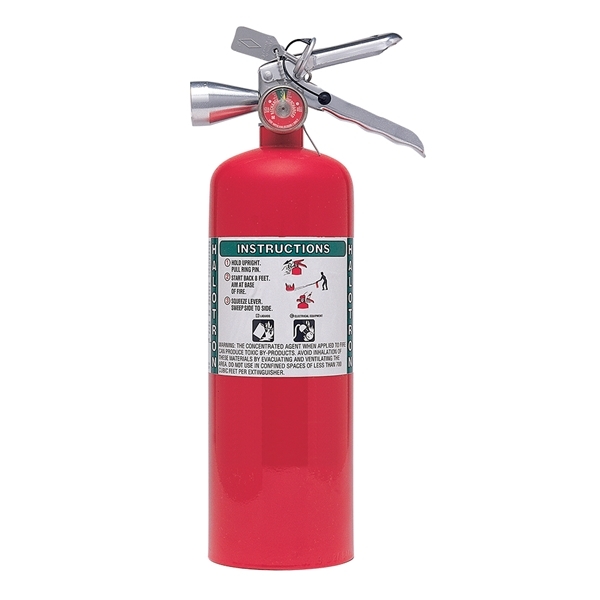 Ideal for use in any facility where dry chemical extinguishers can cause contamination or damage. 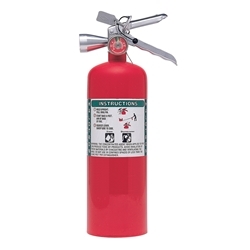 BABCOCK-DAVIS warrants all Portable Fire Extinguishers to be free from manufacturing defects in materials, factory finishes, and workmanship for a period of five (5) years from the date of shipment. 11 Lbs., 2-1/2 Lbs., 5 Lbs., 15-1/2 Lbs., 1.4 Lbs.